 Here's some answers to some commonly the commonly asked questions here at K9 Petfoods. If you're question still hasn't been asnwered, please get in touch with us here. DID YOU KNOW - we have a farmer exchange programme where by you can have your livestock slaughtered and produced into food. Read more about our programme ﻿﻿here﻿﻿. Yes, we have yards in Hastings. Just call us and we will give you a booking date for delivery. Do you subsidise freight deliveries? Yes, we have a freight rebate scheme whereby we will give you credits when delivering from out of our region. For credit rates see the “Farmer Exchange” page. Are we able to kill on farm? Yes, we offer an on-farm kill service for cattle that are unfit to be transported. We offer this service to clients in our area. Fees will apply. No. We’ll honour any credits you have on your account for as long as you like. What happens if I go into debit? Don’t worry, we’ll send you an invoice for the kilo’s you have gone into debit for. Or simply book more livestock in to kill and bring your account back into credit. Is there a minimum of sheep or cattle I have to get killed? No. We’ll do whatever is viable for you. Where can I redeem my credits? Dragers Wairoa & Farmlands Gisborne. Gisborne, Wairoa, Taupo, Rotorua, Taihape, Raetihi, Taumaranui, Wanganui, Masterton, Hunterville, Palmerston North, Waitotara & Dannevirke.